Now I’ll admit, I never played the first Luigi’s Mansion for the GameCube. I thought it looked cheesy and kind of lame. However, if the first one is anything like the sequel, I really should go back and play it. I was hesitant to try the new 3DS Luigi’s Mansion 2 because of my skepticism of the first one, but decided to wait in line and give it a go. To my surprise, it was a lot of fun! Luigi was easy to control and sucking up ghosts with his vacuum was simply enjoyable. 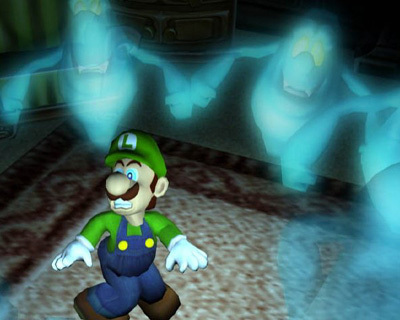 Luigi’s Mansion 2 also really showed of the capabilities of the 3DS. There was a real sense of depth and the art detail was nicely done. After hearing about its release at the Nintendo Press Conference, I was pretty sure I wasn’t going to try Luigi’s Mansion 2. Luckily, I put my skepticism aside and gave it a go and was pleasantly surprised just how fun it is.